Tyranna Resources has completed its acquisition of the Eureka gold project, located 50km north of Kalgoorlie in W.A. The company purchased the project, which includes 4 granted mining leases from TSX-listed Central Iron Ore Limited in a deal costing a little over $3.2m in cash and scrip. Tribute mining was completed at the Eureka open pit gold mine between December 2017 and April this year, for which Tyranna received a 4% net smelter royalty from the proceeds of the processed gold sales. 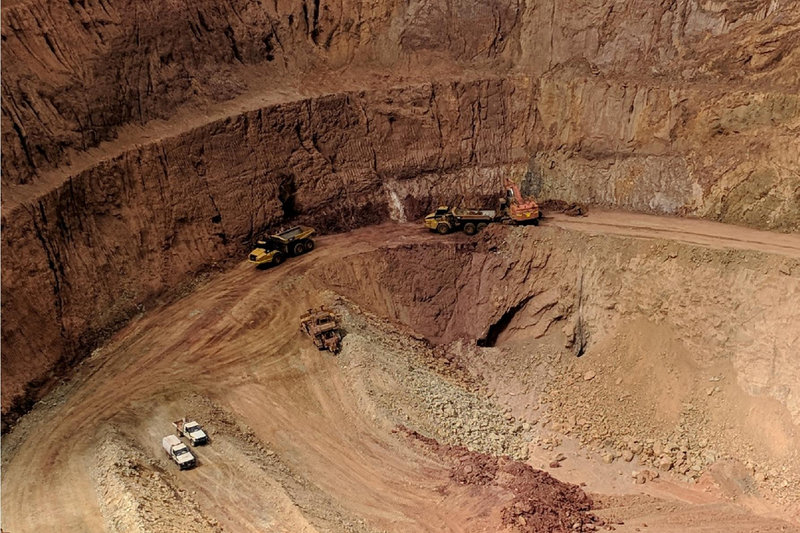 Approvals for mineral resource and ore reserve drilling around the Eureka open pit mine were received in April, with the company saying that the drill program would commence once the sale and purchase transaction was completed with Central Iron. Just under 2,000 metres of drilling has been scheduled, so as to bring the gold project in line with current JORC-compliant standards of reporting. The drilling will provide structural information regarding the gold mineralisation hosted in quartz veins at the deposit and samples will also be collected to complete metallurgical test work programs. The Eureka gold mine ore body consists of a plunging shoot of quartz veining up to 15m wide, with a strike length of about 70m and contains abundant coarse visible gold. There is further potential at the Eureka North prospect, 800m north of the Eureka open cut where historical results up to 4m @ 134g/t gold and 4m @ 33.7g/t gold were returned from a shallow RC drilling program. With the sale process now complete, Tyranna will be hot to trot at the Eureka gold project and it is now just a matter of time before the company rolls out the rig to begin evaluating the scope of its shiny new thing.